SEATTLE — While many people often focus conversations about poverty on areas where extreme poverty is prevalent, poverty — at many levels — is found across the globe. Sweden, while often viewed as a model for progressive an effective welfare, continues to deal with poverty in the 21st Century. Here are the top 10 facts about poverty in Sweden. Even though levels are low, poverty does exist in Sweden. Despite working, seven percent of Swedish citizens live at the EU’s risk-of-poverty line. Those living with a disposable income low enough to be deemed at-risk of poverty are often young people and single parents. Is poverty being swept under the rug? Some may say yes, simply due to the fact that oftentimes people view countries such as Sweden as being completely without poverty. While poverty may not be as extreme in Sweden — and what is deemed poverty in one location may not be equal to that in another — those living below the poverty line in Sweden and in every country are dealing with limited access to basic human rights such as education, healthcare and adequate living conditions. Housing availability, prices and processes in Sweden affect those at risk for living in below the poverty line. While Sweden is considered a welfare state, its housing system functions in a way separate from that of their social security. Perhaps because of their low poverty and unemployment levels, Sweden does not have the same requirements for low- and middle-income housing that one finds in many places throughout the United States. In Sweden, one needs references, steady work and a high level of disposable income, as well as the ability to find housing itself, particularly in the current housing crisis. Sweden’s welfare system is a way of controlling the threat of poverty throughout the country. 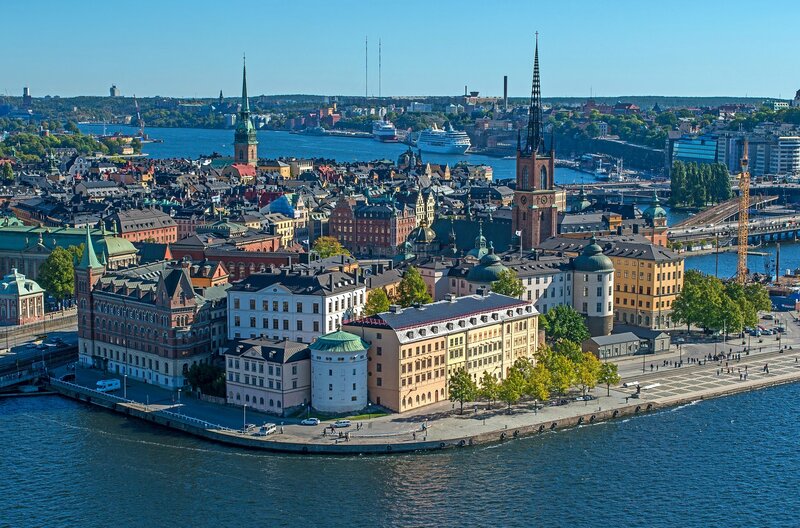 By providing a standard minimum income, free education, free childcare and universal healthcare, Sweden’s government is able to provide opportunities for its citizens to increase their productivity and educated workforce. Sweden’s welfare system also has its negative aspects, one being increased taxes. Additionally, it is thought that with new problems arising in this era, new conversations occurring on a variety of topics, the Swedish welfare system may need to be systematically updated in order to best suit the needs of its citizens at this time. Sweden’s aid programs go towards more than generalized programs. In recent years, Sweden has been focused on increasing the number of programs within the reach of government spending that target inequality. Gender inequality has become an important topic in today’s global conversations, specifically when concerning poverty. The inclusion of women in education, healthcare and government are found to have strong positive effects on the alleviation of poverty worldwide, and — on the opposite side of the problem — the effects of poverty on women’s education. health and autonomy are very real and are proven to have lasting effects on individuals, the community and the economy. Universal healthcare has the ability to reduce poverty. It has been found that those with access to affordable, effective healthcare possess reduced poverty levels. In Sweden, every citizen is entitled to not only generalized healthcare, but mental health care as well — an increasingly important part of treatment for those living in poverty around the world. Education — specifically equal education across gender and socioeconomic status — is a powerful tool in Sweden’s ability to fight poverty. Access to education is often cited as a main reason for poverty and extreme poverty’s persistance across the globe. By providing free, equal education to all children, individuals in Sweden and the country’s economy both benefit from a high level of preparedness to join the workforce. Education, healthcare and welfare are simply tools for the country of Sweden to use in order to combat poverty. School enrollment is on an upward trajectory, and has been since 2006. Sweden’s unemployment reached its lowest point in ten years in early 2018. The number of women involved in government is one of the highest in the world. The percent of those working and living below the EU poverty threshold is three percent lower than the EU average. Sweden’s focus on individual aspects of alleviating poverty have allowed the country room for advancement without compromising the opportunities of those living with less. Sweden has increasing potential to eradicate poverty. From the first nine of these top ten facts about poverty in Sweden, one thing is quite clear: Sweden, while still dealing with poverty, remains a role model for a progressive, wellness-focused country where welfare is a functional component of the government. By focusing on the people within the country, the Swedish government is able to provide citizens with quality education and healthcare, as well as government-funded programs dedicated to the wellbeing of all its people, regardless of gender, age or socioeconomic status. If the nation continues on such trajectories, the levels of poverty in Sweden will be positively impacted.